advised yet memorable lines in corporate history. The world's largest man-made environmental disaster had taken place one week earlier when BP's Gulfwater Horizon rig exploded, killing 11 workers and spilling millions of gallons of oil into the Gulf of Mexico. BP's CEO at the time, Tony Hayward, stood on the beach in Louisiana, clearly unprepared for the disaster that had occurred and trying to fend off multiple questions from authorities and the media, when he said "I'd like my life back." For the employees who worked on the rig, their families and friends; they wanted those 11 lives back. The citizens and businesses along the Gulf shore, the environment -- they wanted their old lives back too. Clearly, Hayward's declaration was stupid, thoughtless, and it rightfully cast him as arrogant and insensitive. Oddly however, the picture of Hayward prior to the oil spill was decidedly different. Before the 2010 disaster, Hayward was described as "unassuming and modest. "1 He had succeeded John Browne in 2007 as CEO following Browne's prostitution and perjury scandal, along with leaving BP with a checkered safety record. Hayward promised an improved culture and safety record for BP, yet here he was less than three years later with a horrific disaster on his watch, and ending up departing BP under a cloud of controversy; worse than the departure of his predecessor John Browne. How many leaders and managers of large corporations watched Hayward implode on television and thought to themselves, "I never want that to be me"! I'm guessing that many senior executives felt that way as they watched, since it is every business leader's nightmare to have a disaster such as the BP Oil rig explosion occur on their watch. Their hard work over years climbing the corporate ladder comes undone by a single event. But what makes the event even more tragic is that it was avoidable. There were multiple fair warnings provided to BP by oilrig employees that were ignored. Multiple BP documents, e-mail messages, engineering studies and other company records shed light on the extent of problems long before the explosion, including an internal report from a senior drilling engineer that warned of a loss of "well control" and collapse of the well casing and blowout preventer.2 At some point, Hayward must have regretted that his company didn't act on those warnings, save 11 lives and avoid the unprecedented environmental damage. What can business leaders do to act on fair and credible warnings provided by their employees to avoid this type of disaster? The first step is understanding the aspects of human nature that prevent individuals from listening to warnings; the normalization of deviance ("We've done it this way before and nothing bad happened"), effects of hierarchy ("They're senior management – they must know what they're doing"), and over-focusing on one goal at the expense of others - as a few examples. The second step is to set up a "culture of listening" that includes systems and policies to facilitate the intake and proper escalation of credible warnings. In this way, business leaders can avoid "losing their lives" in the first place. High-level oversight – does your company have an organizational structure led by senior management that oversees issues such as compliance, quality and safety, while being able to respond quickly and appropriately to credible warnings? Training and education – How do you train employees to identify and report concerns? Auditing/monitoring and risk assessment – risk assessment is the "radar screen" of threats to your company. How are risk assessment, and more specifically -- enterprise risk management ("ERM") implemented in your organization? How and when are audits performed that "kick the tires" on key activities? Open lines of communication – Does your company have a hotline that operates 24/7/365 and is staffed by competent individuals who know how to properly intake and triage emergency reports or concerns? Yes, in these many reports will be false alarms and non-emergencies; one CFO told me that someone actually ordered a pizza on his company's hotline. But somewhere within these hotline reports will be a pearl of information that just may save the company from disaster. Written policies and procedures – Does your company have written guidelines that make reporting concerns a job requirement, as well as non-retaliation for doing so? Investigating reports of concerns – Does your company thoroughly escalate and investigate reported concerns? Enforcing standards – is your company prepared, culturally and otherwise, to both set and enforce standards related to issues such as safety, quality and compliance? I've often used a phrase with clients that I refer to as a "stop the presses" issue. Is your company prepared to "stop the presses" if and when a credible warning comes in? Stop Trying to Motivate Me! Message to My Manager: Stop Trying to Motivate Me! Here it is the end of the year. You are feeling pretty good about how things are going in general but you have trepidations about giving some people their annual review. As you probably appreciate, you are not alone. In fact your boss likely feels the same way about giving you your annual review. For everyone knows and expects that at least some negatives will come up during their review session. Only the masochists among us look forward to being put on the carpet for things they have done wrong over the year! Let’s face it, just about everyone hates criticism – it’s the least sought after form of human communication. But, criticism doesn’t have to be all that bad. As a matter of fact, current research on the subject shows that the more one learns about how to give and receive criticism, the more they come to discover that it can open doors to the achievement of personal goals and successes never dreamed possible. By understanding a few skills involving criticism, whether as a giver or receiver, it can become a significant asset towards your personal success as a leader or manager. Once you learn some tenets on how to give it so others actually welcome it, or how to accept it as a form of self-advancement, you will know more than just about anyone you come in contact with. You might even come to consider it a kind of personal competitive edge. The discomfort associated with criticism is understandable. Besides conveying something negative, the stress associated with criticism is heightened when givers are not prepared and deliver a poorly constructed message highly subject to misinterpretation and challenge. For receivers, they too often are stressed because they aren't sure whether the intent of the criticism is to help, hurt, rattle their self-confidence, or set them up for a fall. 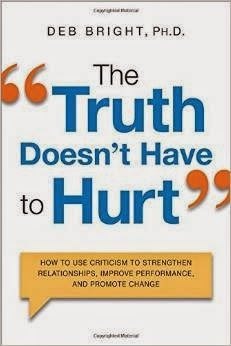 The source of our discomfort with it can be traced to the fact that mostly all of us never developed the skills necessary to ensure that the criticism we give is received as intended. As receivers we lack the skills of looking for what is potentially helpful rather than what is argumentative. Because we lack the necessary skills, mistakes in handling criticism are plentiful for both givers and receivers. Perhaps one of the biggest mistakes that givers make is that they “call it as they see it.” These are what I refer to as “Quick Draw" givers because their approach is based on an emotional reaction with little thought given to the consequences of their delivery. Consequently, they tend to alienate more than they motivate. They overlook the fact that once they open their mouth, the control shifts to the receiver who decides how to interpret what's been said and likely takes a defensive position that is of benefit to neither party. Feeling uncomfortable when giving criticism is natural. It's what you do with that uncomfortable feeling that can result in yet another common mistake. With or without your awareness you may try to regain that sense of comfort by taking to the limits such biblical platitudes as “do unto others as you would have them do unto you,” or “treat others the way you want to be treated.” What this implies is that you give criticism to others the way you would like to receive it. So, you adopt an “All About Me” approach when delivering criticism. This “All About Me” approach to giving criticism has the wrong focus. Your goal is not to be comfortable when giving criticism; rather, the goal is to be effective. You need to step outside yourself and factor in what you understand to be the receiver's preferences and needs. When you do this, you are putting aside the “All About Me” approach and practicing a more appropriate adage that says, “treat others the way they want or need to be treated.” This mindset is what you need to adopt in order to have your message heard. There should never be any guessing about how best to approach someone you work closely with or – all the more so – someone who is significant in your life! Receivers need to make givers feel comfortable during the criticism exchange. What many receivers all too often overlook is the fact that most givers don’t like giving criticism and they have likely never been trained in properly giving criticism. Instead of trying to work with givers, the “I’m Being Attacked” receivers instantly become defensive, fire off questions, and become argumentative. These receivers fail to see that making givers uncomfortable is likely to eliminate what could be an important opportunity in their development and, over time, givers will shut down and put the need to say something to them at the bottom of their to-do list. There are two main things that receivers can do to make givers feel comfortable. First, the receiver should avoid interrupting the giver immediately and let them finish what they have to say. Secondly, the receiver really needs to listen carefully to what the giver is saying or trying to say. When the criticism is being delivered, receivers need to keep in mind that most givers have not been educated in giving criticism and can easily come across awkwardly and be careless about what is said. Rather than immediately taking a defensive stance, receivers need to ask questions with the intent of trying to understand whether the giver is really trying to be helpful and whether there is any potential value in what the giver is saying. Working on these tips and sharing them with those in your workplace is a great start toward making sure that messages come across as intended and that receivers find benefit in what’s said. When leaving a leadership legacy, you should think more about the people you leave behind, rather than the products and services you leave behind. After all, products and services come and go. It is the people that will keep the company moving forward toward its vision. For more on why and how, read Beth Armknecht Miller's guest post over at About.com Management and Leadership. Help Wanted: Manager. 5-10 Years of Experience Required. It’s hard to land a management position when you don’t have the title “manager” on your resume, or be able to provide specific examples of your management experience. So what’s an aspiring manager to do without holding formal management positions? Plenty! If you are interested in becoming a manager, read my latest post over at About.com Management and Leadership for 5 ways to get management experience without being a manager. Achieving collective employee engagement is a challenge for most companies, especially in today’s delicate economy. It’s crucial for business leaders to engage their workers in order to prosper. What is an engaged employee? This team member is fully invested and enthusiastic in their work because they identify with the company’s overall vision and feel their job responsibilities contribute to the company goals. They are dedicated to their specific role, which allows them to work toward the success of the company as well as their individual success. · They have a specific and well communicated vision that is constantly kept it in front of and discussed with their team – it outlines action, not just words. · Their employees are able to describe why the organization does what it does and who they do it for. · Their employees are emotionally attached to the vision, believe in what they do and are committed and loyal to the organization. Now, if you can correctly “educate” each member of your team on these five points here is what you will have accomplished – your team will understand how what they do will help to make the vision a reality, and in turn, they will realize that achieving the vision will fuel their motivation to make it happen. Think about it – do you have a vision; does your team truly understand it and do they understand the “why” of what they do? Answering these initial questions will put you on the road to building an engaged team. So you have a vision and your leadership skills are up to the challenge, now what are some ways – tactics – you can use to create a healthy employee engagement culture? Consistent Communication: Employees want to know how the organization is doing, how corporate goals are being accomplished and how what they do contributes to achieving corporate objectives. Interaction: Employees leave organizations because of their direct supervisor. The engagement of employees is tied to the leadership practices of their direct supervisor. Employee Development: Employees want the opportunity to develop and grow professionally. They need opportunities to grow in their job and within the organization. Managers should be constantly coaching their employees to fine tune skills and develop new ones. Team Environment: Strong employee engagement is dependent on how well employees get along, interact with each other and participate in a team environment. Trust: Employees need to trust each other as well as their leadership. Employees are constantly watching leadership to see how their decisions affect the strategic direction of the organization and if their behaviors reflect what they say. Clear Expectations: Employees need to know what is expected of them. This is accomplished by giving specific goals as well as the training, tools and resources needed to perform their job. Reward and Recognition: Employees need to feel validated and acknowledged as a valued part of the organization. Rewards and recognition should be integrated into the way employees are managed on a day-to-day basis. Employee Satisfaction: Employees need to feel like they are part of the process and that their thoughts and ideas matter. They are on the front line and know best about how work should be performed. Actively soliciting employee feedback is a very effective way to engage employees. So there you have it – vision; leadership and tactics – the three critical components of a healthy and productive culture of employee engagement. It’s now up to you to pull it all together and make it happen. 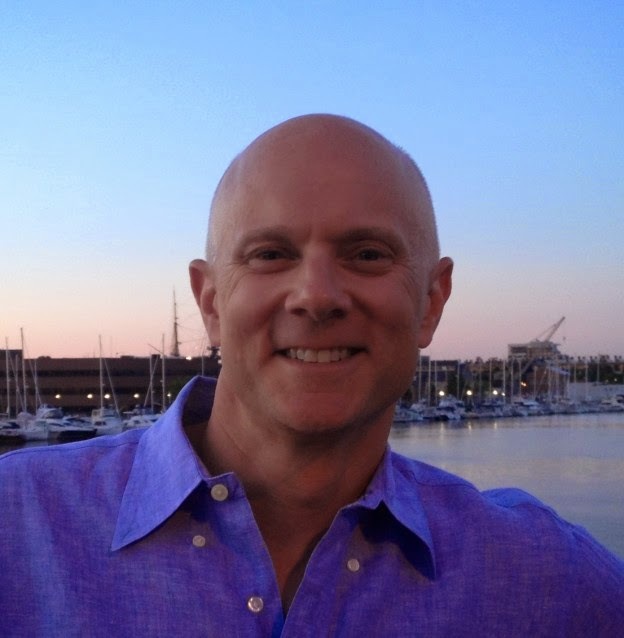 Bio: Chris Ruisi helps organizations and individuals achieve dramatic business growth through enhanced leadership and team development. 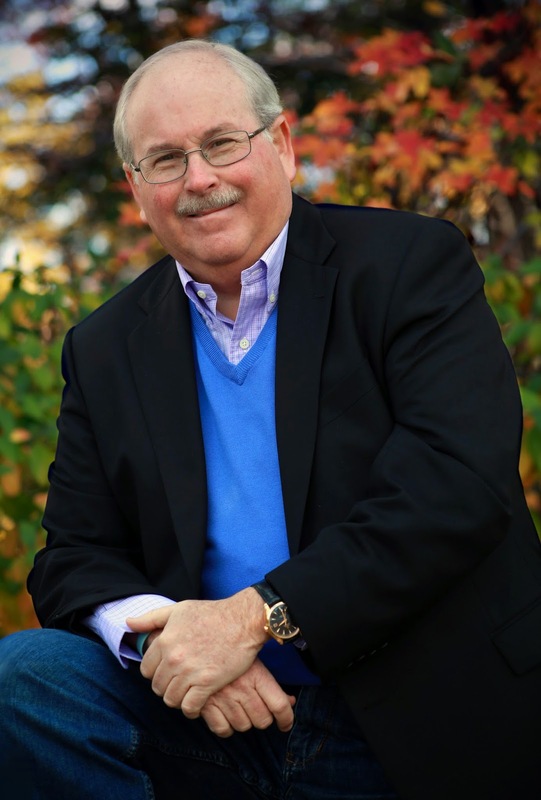 Ruisi is a nationally recognized executive coach, leadership expert, professional business and leadership speaker, top-ranking author and radio show host who challenges business leaders to "Step and Play Big." Drawing on his more than 35 years of experience as a senior-level corporate executive, Ruisi uses his wealth of knowledge to help business professionals develop the practical skills and solutions necessary to navigate the risks and demands of the current economic climate. Succession planning is critical in order to ensure the long-term success of any organization. 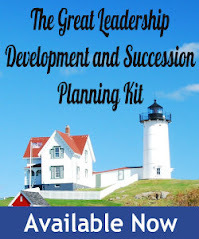 See my latest post over at About.com Management and Leadership for a template that contains all of the most common data elements of a good succession plan. The holidays should be a time to count your blessings and celebrate with friends and families, but for many, they can also be filled with anxiety, stress, and even depression. The same is true for managers, who need to figure out how to navigate the tricky waters of office holiday celebrations. Read my latest post over at About.com Leadership and Management: A Manager’s Guide for the Holiday Season for some common sense pointers. TAFFY WILLIAMS has been a successful entrepreneur and advisor to entrepreneurs for over 30 years. The founder and president of Colonial Technology Development Company, which assists start-ups in technology commercialization, he writes the popular “Startup Blog,” as well as articles for Examiner.com. 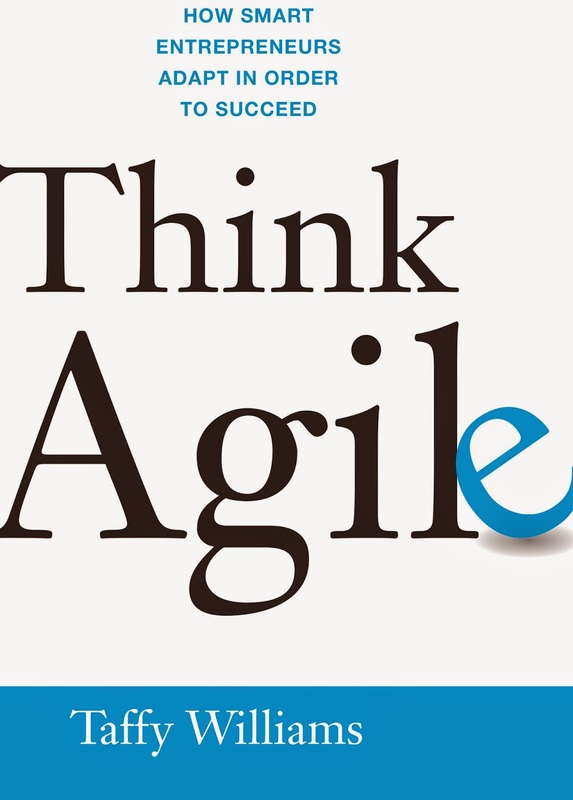 He is the author of THINK AGILE: How Smart Entrepreneurs Adapt in Order to Succeed. I’ve taken, taught, sold, and managed a lot of training programs throughout my career. Some were horrible, some pretty good at the time but the learning rarely applied, and some were game changers. Read my latest post over at About.com Management and Leadership for the 10 training programs that I’d recommend any manager should take, grouped in sequential order. This month's Leadership Development Carnival is being by regular guest author Beth Armknecht Miller over at Executive Velocity. Beth did a great job rounding up over 20 posts on How Leaders Influence and Impact the Performance of Employees.